I've been thinking about this character lately and wanted to give him my own visual rendition as I continue to practice digital illustration with Photoshop. Samson is the legendary strongman from the Bible story. He was of the Hebrew tribe of Dan and I looked to give him that kind of feel. Almost like from an ancient biker gang. 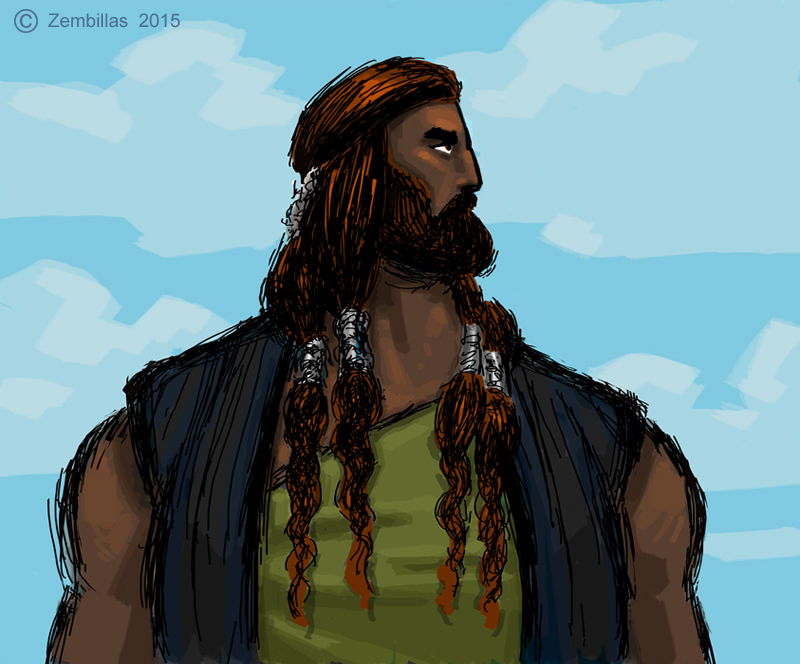 He had his long hair in locks or braids and I attempted to reflect that in his appearance. A lot of fun and the practice is good.